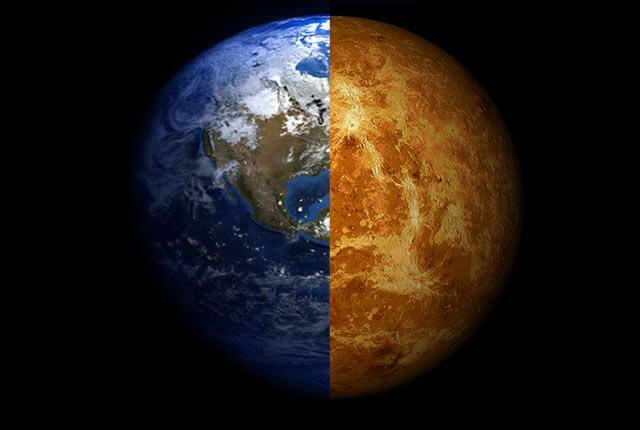 If conditions had been just a little different an eon ago, there might be plentiful life on Venus and none on Earth. The idea isn't so far-fetched, according to a hypothesis by Rice University scientists and their colleagues who published their thoughts on life-sustaining planets, the planets' histories and the possibility of finding more in Astrobiology this month. The researchers maintain that minor evolutionary changes could have altered the fates of both Earth and Venus in ways that scientists may soon be able to model through observation of other solar systems, particularly ones in the process of forming, according to Rice Earth scientist Adrian Lenardic.